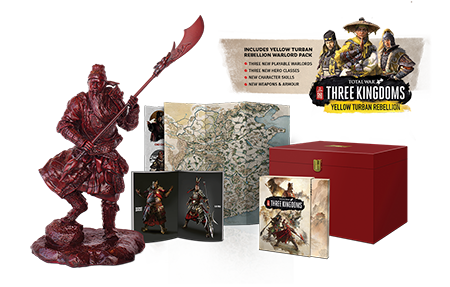 The Total War: THREE KINGDOMS Collector’s Edition will be produced in a single, exclusive production run. 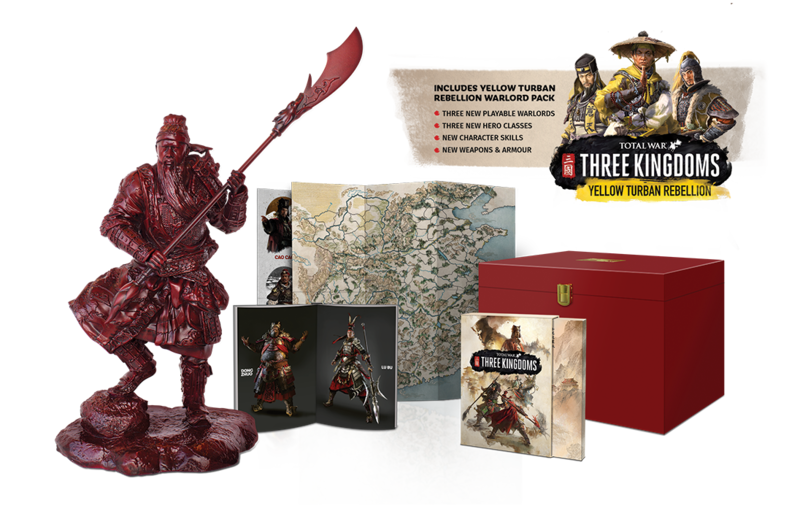 Influenced by the modern historicist Chinese art that defines the game’s visuals, the Collector’s Edition ships in a beautifully modern, sleek and minimalist luxury presentation chest, featuring vibrant red colouring and adorned with a premium gold leaf ¨Three Kingdoms¨ Chinese stamp. Developed by Creative Assembly and published by SEGA. Creative Assembly, the Creative Assembly logo, Total War and the Total War logo are either registered trade marks or trade marks of The Creative Assembly Limited. SEGA and the SEGA logo are either registered trademarks or trademarks of SEGA Holdings Co., Ltd. or its affiliates. All rights reserved. SEGA is registered in the U.S. Patent and Trademark Office. All other trademarks, logos and copyrights are property of their respective owners.